Sterling Silver Pave Heart Infinity Ring For Only $12.99! 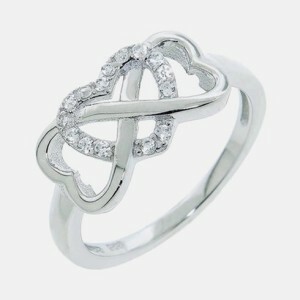 You are here: Home / Great Deals / Sterling Silver Pave Heart Infinity Ring For Only $12.99! Don’t miss out on this great item on sale at Tanga just in time for Valentine’s Day Gifts! Sterling Silver Pave Heart Infinity Ring For Only $12.99! So simple and beautiful you can’t beat this great deal for the one you love. Elegant for a young lady to feel special and beautiful enough for a woman to feel loved. Grab this and other great deals every day at Tanga!